In a city like Salisbury where a walk through its streets is like a trip back through the centuries, it was only right that my hotel had historic credentials to match. 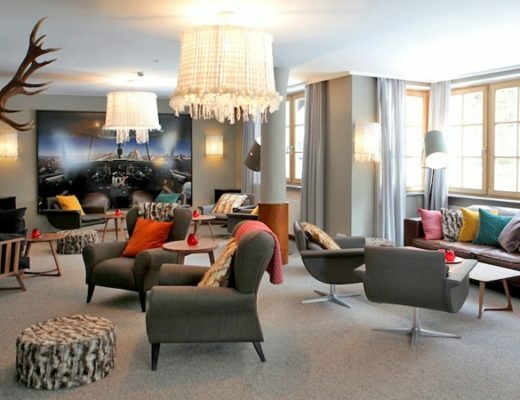 So what could be more appropriate than Europe’s oldest purpose-built hotel? I was in Salisbury to guest write a Postcard guide for Best Western, and their 13th century Red Lion Hotel is as traditional British as it gets, from its wooden beams and medieval fireplaces to the courtyard where stagecoaches used to pull up to collect passengers travelling from London to the West Country. 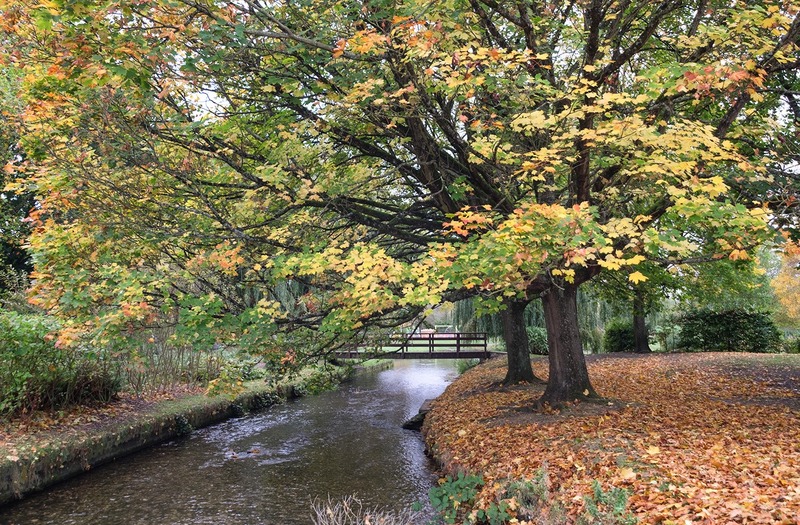 I might have swapped a stagecoach for a train to get to Salisbury, but autumn was the perfect time to visit, when the city’s full of colourful leaves, hot chocolate and log fires. 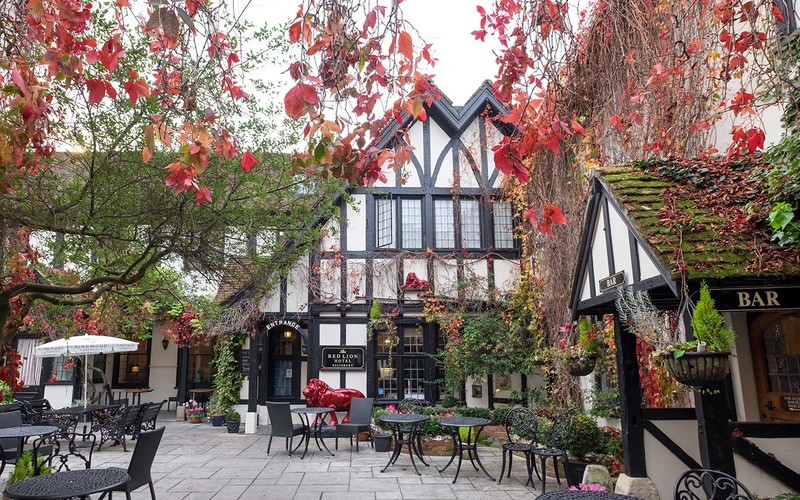 The Red Lion is right in the centre of Salisbury – and it’s a pretty compact city so you can easily get around on foot. It’s about 15 minutes’ walk from the train station, and then less than five to the main city sights. Cathedral Close is the historic heart of the city, home to some beautiful old houses as well as the Gothic Cathedral – definitely one of the most impressive in the UK. Don’t miss seeing the Magna Carta and taking a Tower Tour to get a bird’s eye view over Salisbury from the base of the spire. 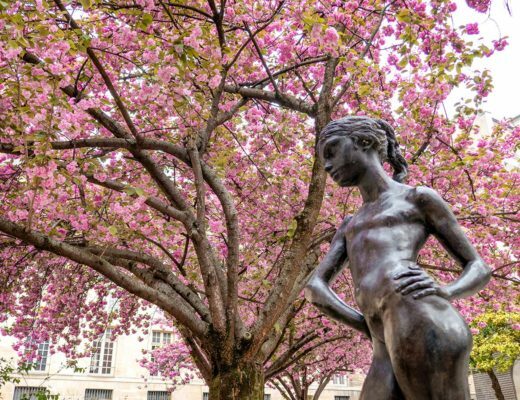 There are several museums and historic houses you can take a look around, as well as plenty of shops and restaurants nearby. But although the hotel’s really central it was quiet too. The main building is set back off the road around a leafy courtyard so you don’t get any traffic noise. 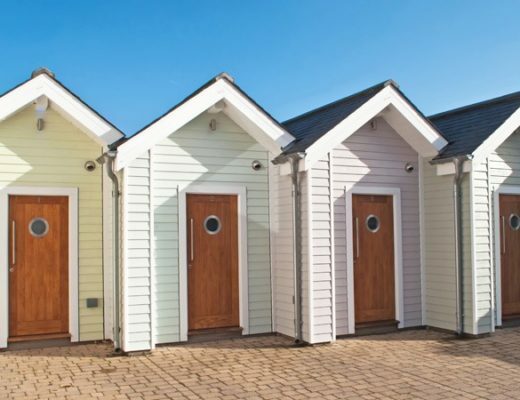 A bit further afield, Stonehenge is just 10 miles north of Salisbury and you’re also within easy reach of Longleat Safari Park and the New Forest (45 mins away each). The hotel building is a real mix of ages, with the oldest section dating right back to 1220. 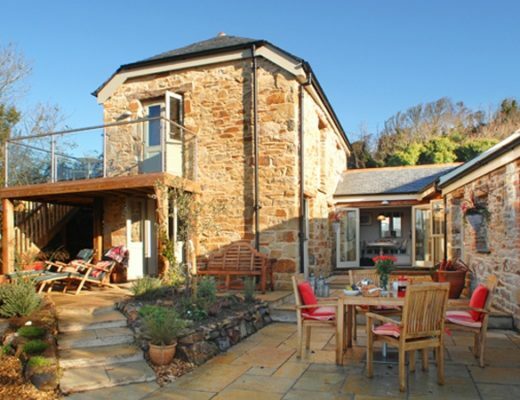 So expect plenty of character, and with it a few creaking floorboards and narrow corridors. Rooms are split into three different categories – feature, superior and classic – and each one is individually decorated. The feature rooms are in the oldest part of the building, with historic details like original wall paintings, antique furniture, four-poster beds, or a medieval fireplace like my mum and I had in our twin room. 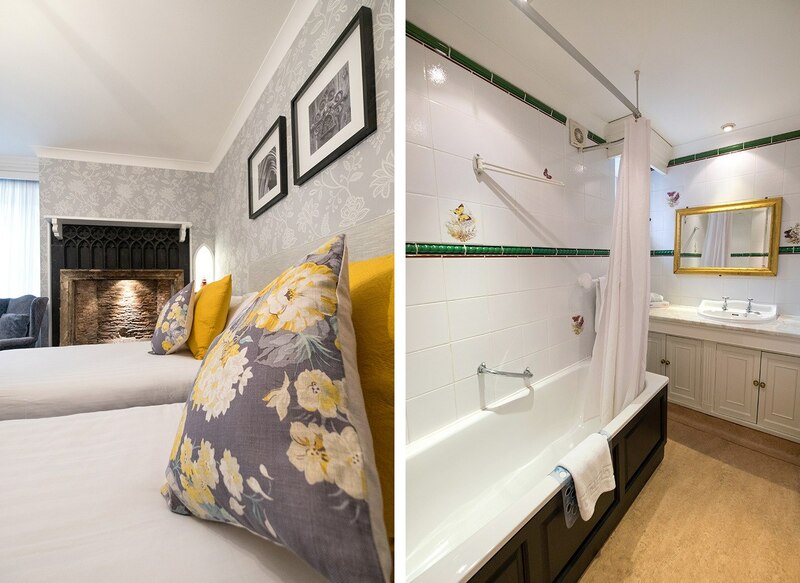 The superior rooms have been recently given a modern makeover with lots of calming colours, and the classic rooms are the small and cosy option. Or if you want to go all out, the Seamstress Suite in the loft comes with beamed ceilings and a freestanding cast iron bath in the room. Along with the historic features you also get 21st-century comforts like flatscreen TVs, wifi and tea- and coffee-making facilities, hairdryers and decent toiletries. The hotel has a couple of different dining options, and although we didn’t try it out, the Vine restaurant has a good reputation and an AA Rosette, serving modern British-style dishes. You can also get bar food (think club sandwiches, fish and chips, burgers, etc) in the hotel lounge. 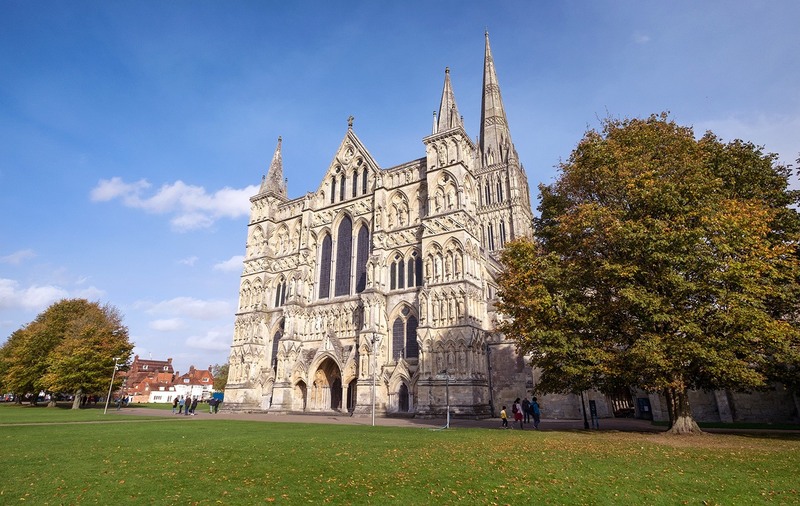 There are plenty of places to eat around Salisbury within a few minutes’ walk – we liked the Giggling Squid for Thai sharing plates and the Haunch of Venison for traditional pub food (as well as a mummified hand and a resident ghost or two). A buffet breakfast was included in our room rate and is served in the Vine restaurant’s light, bright conservatory. 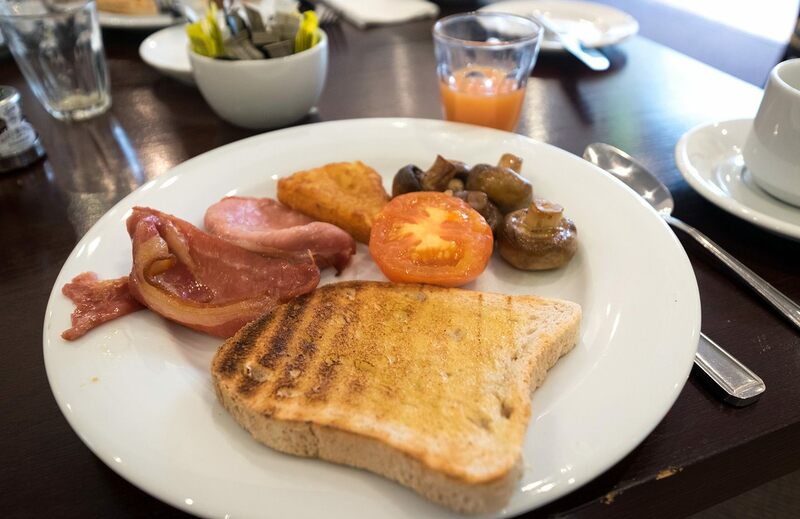 There’s a Full English as well as ham, cheese, fruit and cereal (with gluten-free bread on request) – my only criticism would be that it’s only served until 9.30am on weekdays so you don’t get much of a lie in! It was a bit too chilly to sit out in the courtyard, but with Virginia creeper draped over the walls and hanging baskets full of flowers it’d be a lovely spot in the summer. But for an autumn evenings there are a couple of cosy bar areas in the oldest section of the hotel. 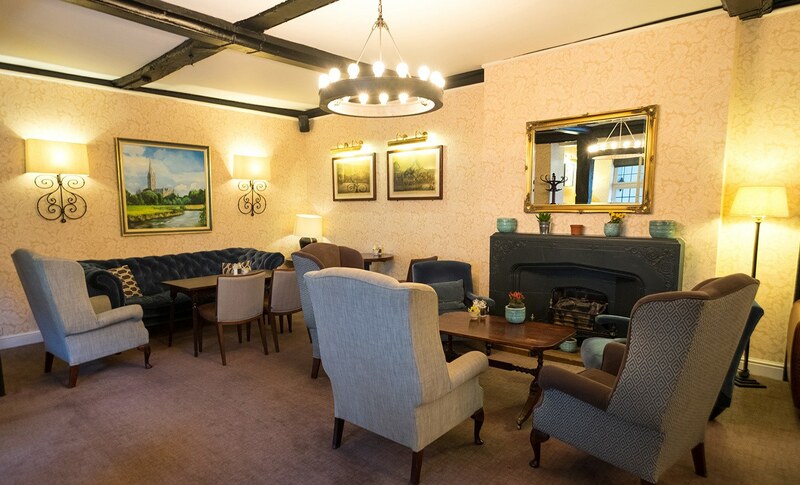 The 1220 Bar serves real ales, drinks and bar snacks, but we took up residence in the Victoria Lounge with its oak beams, comfy sofas and log fires. As well as serving drinks you can have afternoon tea in there too, whether you’re staying in the hotel or not. Guests are… a mix of nationalities, with lots of people on trips around the UK. Staff are… chatty and friendly (and helped me get my TV working when I couldn’t turn it on!). Don’t forget… you can earn points towards rewards with the Best Western Rewards programme. Useful to know… if you’re driving, the hotel has six parking spaces available on a first-come, first-served basis, which cost £15 per night. Or there’s a car park in neighbouring Brown Street. 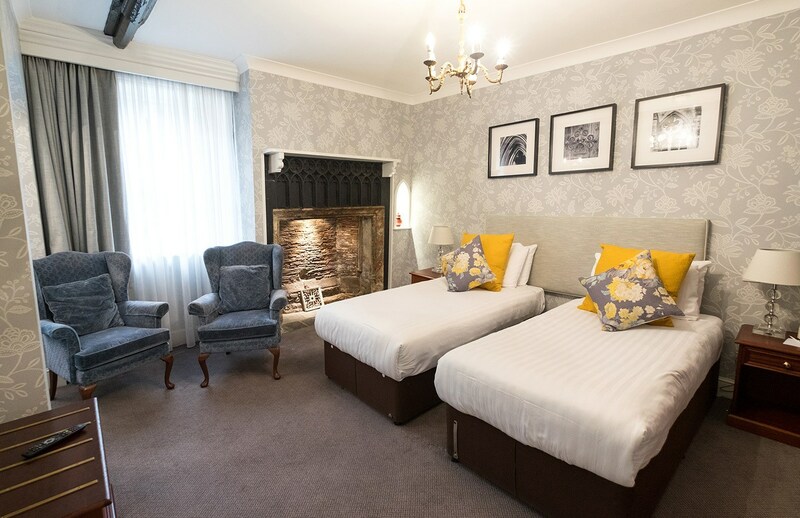 Rooms at the Best Western Salisbury Red Lion Hotel start from £78 a night for a standard room, £90 for an superior room, £95 for a feature room and £150 for the Seamstress Suite. Thanks to Best Western for hosting me in Salisbury. All views and opinions are, as always, my own. Sounds perfect! I love staying at Best Western Hotels and Salisbury is a great place. Salisbury is lovely! I can’t believe it took me so long to get there. That is far too early for breakfast to finish! What are they thinking? I’ve experienced that in Best Western. It’s craziness. Should be 10.30 at the earliest on a weekend. Much too early – I love a good hotel breakfast but I’m not very good at getting up and eating straight away so 10am is my minimum! 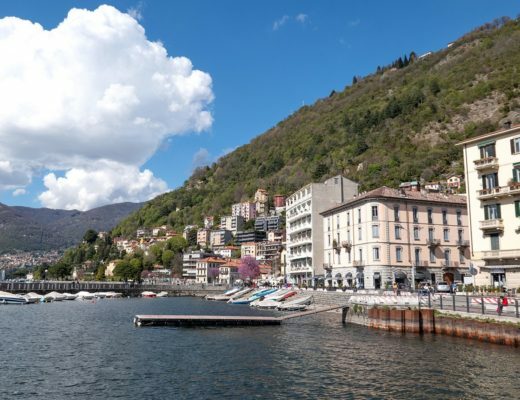 It sounds fabulous Lucy, and perfect for a cosy autumn stay (and I adore autumn) – but my jaw is still gaping from the opening paragraph ‘Europe’s oldest purpose-built hotel’. That’s a seriously impressive fact, and it’s just over half an hour away from me – I think a quick lunch-time pint of ale during a day trip is beckoning, just to say I’ve been there if nothing else! Crazy isn’t it! I’d have through it would be in London or one of the other major cities so it was a surprise to find it in Salisbury. We’ve had a couple of Salisbury Tweet-ups here in the past. 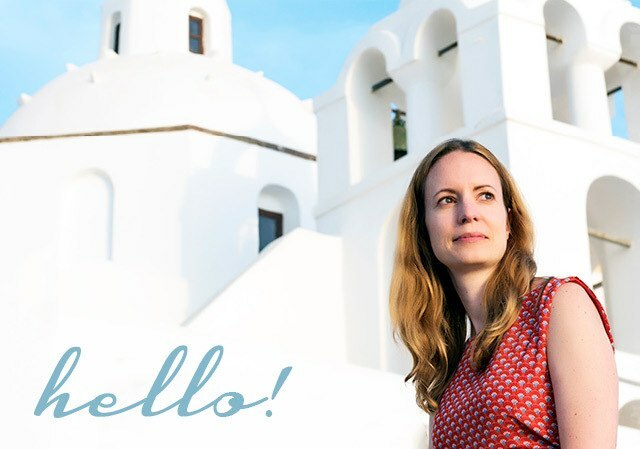 I didn’t know it was the oldest purpose built hotel in Europe … and I only live seven miles away! Funny the things you never know about places nearby isn’t it! Salisbury is lovely and the room looks great and modern. I chuckled when I read that it was europes oldest purpose built – its easy to forget that most country house hotels started off as homes! Yes there’s a lot which would fall into that category! 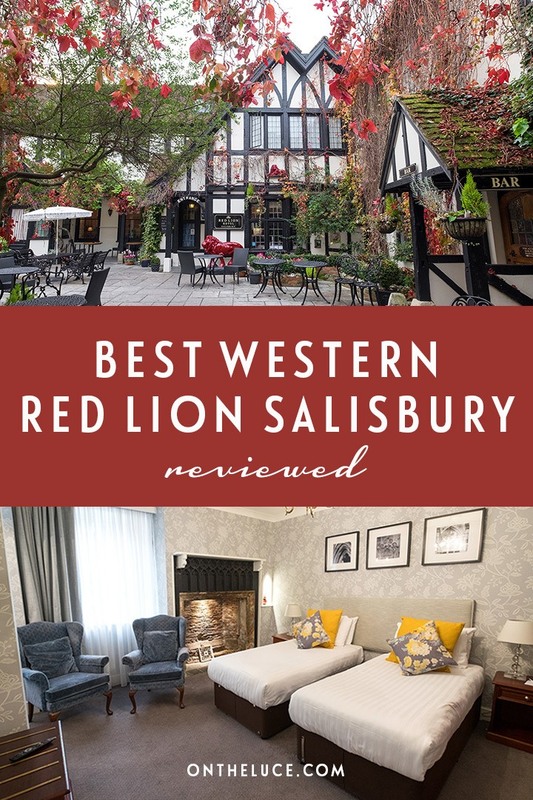 I love exploring quintessentially English cities and towns and I went to Salisbury years ago and adored the history and atmosphere, you’ve really inspired me to go back and if I do I’d stay at the Red Lion in a heartbeat. I can’t believe I’d never been before, it’s such an interesting little place! Fingers crossed! We haven’t had snowy winters for a few years now so we must be due one soon! Best Western is a great reliable brand and the property in Salisbury fits right in to this historic spot. 13th century!? I’m impressed. 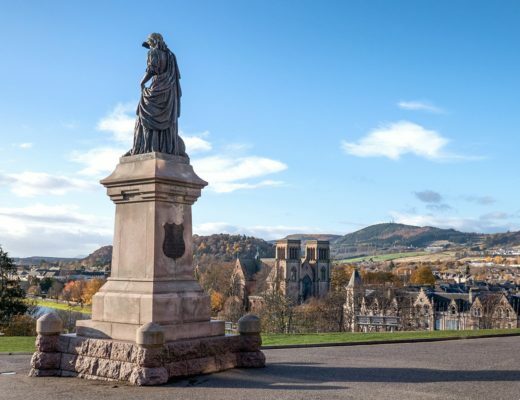 Amazing isn’t it – so much history in this country! Great brief review of Salisbury and thanks for reviewing this Best Western, I have found them to be a bit hit & miss, so nice to know this is a good one. Yes I know what you mean, I’ve stayed in a few which were a bit sub-standard but pleasantly surprised by this one – and the building was lovely!